Linux Kernel v3.7 is released (official announcement). The most exciting thing in this release is probably the support for ARM 64 bit architectures. What’s New in Linux (Kernel) 3.7 ? Read about the latest changes/features in more details. Linux Kernel 3.0 RC1 is released! Linux kernel version 3.0 (RC 1) had released, few day before, with some special features such as virtualization support with Xen ..and changes. The latest stable kernel is 2.6.39.1. What’s special about Linux Kernel 3.0 ? Now, Linux kernel (from vs 3.0 onwards) will have full support of Xen. 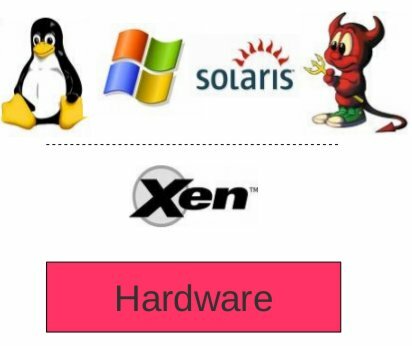 Xen is an open source industry standard for virtualization and offers an efficient, powerful and secure virtualization of various CPU (Central Processing Unit) architectures such as x86, x86_64, IA64, ARM …etc. Xen hyperwisor allows you to run multiple guest operating system on a computer. it’s free and licensed under GPL (GNU Public License). Total number of files changed is equal to two hundred and twenty nine. Total number of lines added is equal to two thousand three hundred and twelve. Total number of lines changed is equal to one thousand seven hundred and fifty one. Total number of lines deleted is equal to one thousand one hundred and thirty four.